Great list! I especially like the sunkissed and cinder projects of yours! I'd love to get my hands on some young ones from that sunkissed x cinder breeding!! Thank you both! If you look, I've already made a couple of changes, but not with Sunkissed or Cinder projects. I'm just going to keep tweaking things! Very cool, def the het cinder bloods, do you happen to have any other breedable intresting hets with cinder in it? OH YEAH!! I'm a huge fan of Abbott's Okeetees and Extreme Okeetees. And of course I'm looking forward to some nice Ultramels cause I KNOW I'll be getting one of those!! (Or maybe just an Ultra, don't know yet, will have to see which I like more). I know hubby has basically agreed to letting me have a third snake once we get moved and settled cause I was showing him some different housing options one day and he mentioned my THREE snakes, hehe, YAY!! So now it's just a matter of waiting. Not this year--give me another year or two, though! 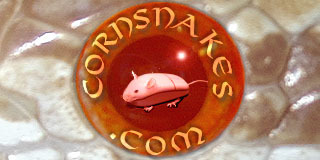 You can see all my snakes at www.iherp.com/lynnea. sunkissed fires, cinders, and lava cinders....Oh my....I better find that old piggy bank and place some more $$$ in it. Good luck when the time comes. Whoo-hoo, cinders. They are first on my want list for next year. Have you done this pairing before? I want one of the mahogany cinders, not one of the gray ones. Are you breeding T'Pring also (I love her pattern! ), or just Valkyrie and Stonn?